The Media – how does it influence a movement’s outcome? The interactions between the media and social movements is seen as a asymmetrical relationship. This is because social movements need to be seen and heard in order to ; mobilise support, validate themselves and project their frame of the given situation. It’s a circumstance where perhaps the activist need the media, more than the media need the activist. Media continues to operate irrelevant of whether there are protests or not, but perhaps movements are unable to achieve large scale change without the media’s assistance . The extent and the content of media coverage of a social movement, influencing a movement’s effect. 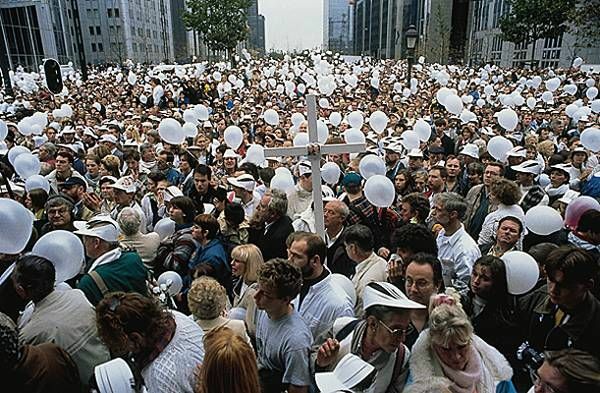 The extent of the media coverage of the 1996 White March in Brussels, has been argued as the reason for the March itself. The March was the largest in Belgian history and centered around the failings of the judiciary and police in the Marc Dutroux case. The case was covered by five Belgian newspapers in a period of the three months leading up to the initial demonstrations, causing many to argue that the ‘media co-produced the White March’. (Walgrave and Manssens 2000). How the news covers a movement’s activities e.g. protests, the media frames for these activities can be crucial to whether or not the public agrees and feels connected with the issue (Smith, McCarthy et al 2001). Media coverage of protests are often communicated through what McLeod calls a ‘protest paradigm‘ and unsurprising this is largely negative, much to the frustration of the protestors. 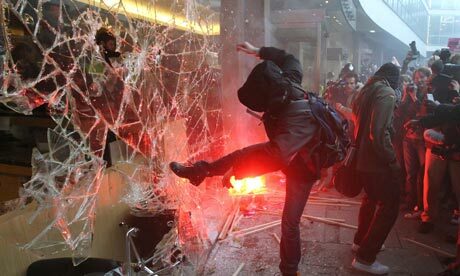 The 2010 student protest against tuition fees where framed as a mob of thugs and anarchists who have embarrassed Britain. The British public may have found it difficult to support an issue cloaked in such violence, in which protestors where thugs rather then members of society, or more importantly people’s children. The media can also choose not to cover a protest at all, silencing the movement from the public agenda. News coverage can have a direct and independent effect on policy making through influencing public opinion. In a democratic society the governmental system observes public opinion, and may alter certain policies depending on how popular or unpopular they are (Fuchs and Pfetsch 1996). An example of news coverage effecting policy is the 2005 hunting act. 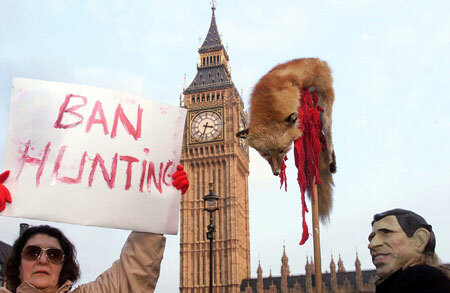 The banning of fox hunting was extremely popular with the British public, and the media. A MORI poll commissioned by the BBC found that 76% of the public wanted fox hunting band, the Daily Telegraph also carried out a similar survey stating that the majority of the public where in support of the ban as well. These public opinion statistics became an amplifier stating what the public wanted and put pressure on the Labour government to pass the act. Articles in recent years still further the narrative of public opinion against fox hunting such as this article in the Independent. These three examples of the media’s influence are indeed important however it’s difficult to measure that importance. The connection between the media’s role in social and political outcomes is largely based on assumption. It’s difficult to separate the media from the context of what is going on in society at that time, as the media only provides a certain perception. The role of the mass media is normally not theorised, nor is there much empirical study of the media in social movement outcomes (Smith, McCarthy et al 2001). We know the media influences the outcomes of social movements because it plays the function of communicating to mass audiences, but to understand the strength of the media’s role in particular social movements requires further research. We know that media coverage is important and that positive media coverage is a movement’s goal, however the media only plays a part role in influencing a movement’s outcome. What a movement’s objectives are and how they can be achieved within the political, economic and social structures we operate in can influence a movements outcome far more than anything else. The mass media is just a part of that mechanism. 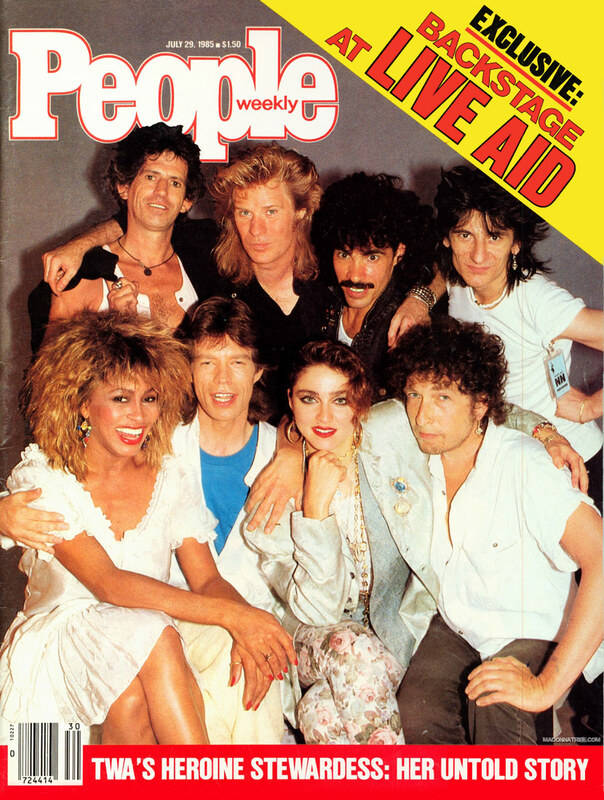 Campaigns such as Live Aid, Make Poverty History etc provide help to those in need, debating the help given is not the objective of this blog post. The focus is on the framing of the situation in ‘Africa’, how the past ideologies influence the present and whether it is ethical or not for campaigns to use this sort of framing. The title of this blog post is quite ironic and in a way, part of the problem – the crude simplification and generalisaion of the term ‘Africa’. What comes to mind when you think of Africa? A common image of ‘Africa’ in western media is often one that portrays poverty, death and famine. Why might these images come to mind? Well, it’s a very dominant narrative that is part of the historic western portrayal of ‘Africa’ as the ‘dark continent’ full of ‘savagery’ and constant war. This kind of imagery has been argued to be part of imperialist ideology, in which knowledge was produced and circulated to reinforced the concept of non Europeans as uncivilized, justifying the ruling and controlling inflicted upon them. In Edward Said’s Orientalism, he sees this kind of discourse as part of strategies of power and subjection, inclusion and exclusion, the voiced and the silenced. Through this type of post colonialist theory, humanitarianism applied to ‘Africa’, points insistently toward imperialism by creating an image of people who are incapable of helping themselves (Austen and Smith, 1969). These historic concepts partly responsible for the image of ‘Africans’ as Victims, as those who cannot represent themselves and must be represented by others (Said, 1978). Frames or framing is a way in which a chosen problem is presented and the ‘norms, habits, and expectancies of the decision maker’ that operate in conditions of bounded rationality (Kahneman and Tversky 1986:257). Framing for a campaigner is a process by which the aims of a campaign are linked with individual interests, values, and beliefs. Linking this back to post-colonial theory, and this image of the ‘Africa’ as the ‘dark continent’ is part of a dominant discourse that has played a part in shaping our beliefs and preconceptions of Africa. Therefore this discourse plays a role in influencing the construction of a frame, as ‘effective frames accord with familiar stories and belief systems’ (Gamson 1988). Practically everyone has a preconceived notion of ‘Africa’, despite the fact that most of us have never have been there to experience it. Our preconceptions come from an historical discourse of neo-colonial beliefs that influence the way that social change campaigns have framed ‘Africa’. Philo would argue that perhaps it is the absence of other explanation in the media that causes audiences to fill in the gaps with these preconceived neo-colonial beliefs about ‘Africa’ and lays the blame on Africans themselves (Philo 2002, pp. 185–6). What kind of frames have been used? Diagnostic: framing of what the problem or situation is and who is the target to blame. problems: famine, starvation and disease. civil war, racial and religious tensions and oppressive political regimes are seen as being the fault of the countries and their people, who are not anymore the helpless victims. feel change can be achieve. Portraying a stereotyped representation of the causes and consequences of poverty in developing regions such as ‘Africa’, can lead to a sense of hopelessness about what actions can make a difference. 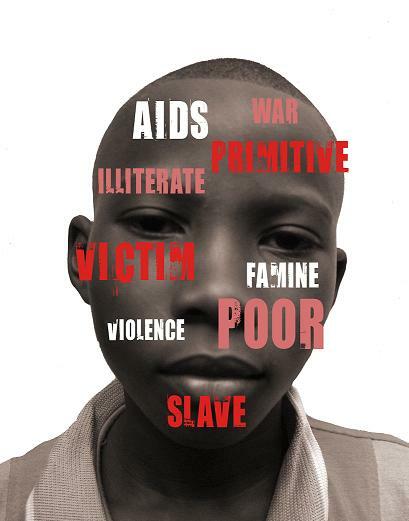 A 2005 poverty study about people perceptions found that when people thought of ‘third world’, they connected this term with images of ‘Africa’ created by campaigns such as Live Aid. The results showed that parts of the audience felt that these countries are in a ‘permanent state of poverty’, leading the audience to disconnect into those who think that these problems can and will never be solved (Fenyoe and Fowler 2005). This type of diagnostic frame can effect the motivational/action part of framing as it can damage the audience’s ability to feel that they can contribute to change, therefore diminishing their motivation to act. Perhaps a more ethical frame for campaigners to use, would be more complex messages that explain the structural causes of poverty. A different and more complex frame has the potential to change people’s beliefs about poverty more so than a simple one promoted in marketing campaigns. Modern campaigning for Africa should be about abolishing the stereotypes of ‘Africans’ and improving our understanding of world poverty. Part of this is giving people from different countries in Africa (47 countries) a voice, there is not one ‘Africa’ and one ‘African’ problem, but rather many different complex problems which effect countries in different ways. And who understands the solutions better then people from African countries. Campaigning tactics: is it all as simple as power vs counter power? 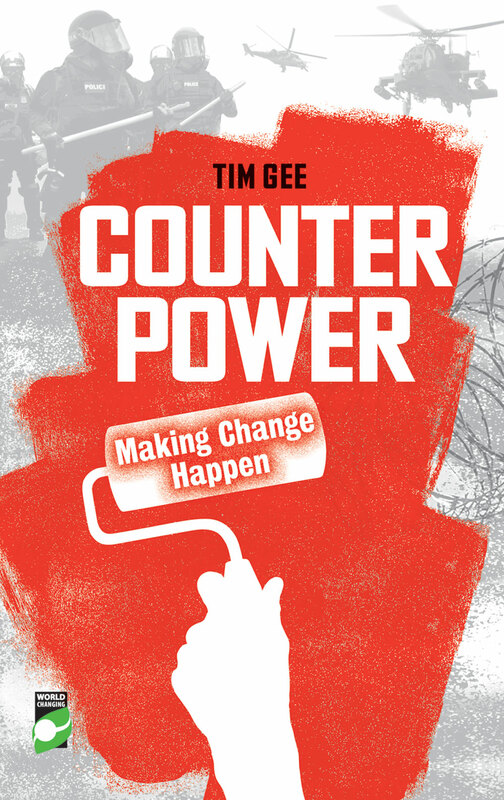 After reading Tim Gee’s Counterpower, I was left asking myself if the notion of counterpower/power to a campaigner was so straight forward. I decided to compare Gee’s concept of power/counterpower, with the ideas of power from other theorists to see whether or not different concepts of power can limit counterpower tactics. But firstly what is exactly is Counterpower? 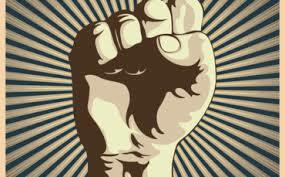 Counter Power is a concept that according to Gee, “explains why social movements succeed or fail”. A bold claim, but one made by an experienced campaigner. Gee sees Counterpower as the power of the ‘have-nots’ in opposition to every aspect of power held by the ‘haves’. He divides the power of the ‘haves’ into three types: ideas, physical and economic. Gee maintains that if a movement can challenge these three aspects of power then those in power will agree to what they must in order to maintain their rule- and thats how you win a campaign. Idea power – haves: the ability to persuade us of their right to rule. Have nots : challenging common held truths, norms and values. Physical power – haves: the ability to punish us if we do not obey. Have nots: Nonviolent and violent direction action and acts of resistance. Economic power– haves: the ability to extract land, labour and capital from us. Have nots: the refusal to work or the refusal to pay and building of alternative economic power bases e.g unions etc. Beyond these categories of Counterpower Gee refers to power in a sense of quantity. It’s about the ‘have nots’ wielding more power then the ‘haves’ to create social change. It draws back to the traditional notion of power, in which A makes B do something that B would otherwise not do, so the ‘haves’ wielding power to control the ‘have nots’. To place power in the hands of the ‘have nots’, Gee argues that a ’bargaining chip is needed and this can only be achieved through Counterpower’ (p38). He also states that the common alternative to Counterpower is simply to accept power as it is. So is power a concept you can measure within it’s self, would having more power be better and what would more power mean? Is power the play off between A vs B, a matter of who has the most amount of power. Does A dominate B because A has more power, or is it more about the type of power A has? Perhaps it’s beyond both A and B, maybe power is about a whole structure of knowledge and understanding that formulate A and B’s standpoints, and even creates the notion of A and B at all. Seeing power in this way may allow the notion of power to be spread beyond, ideas, economic and physical notions. We can understand in today’s technological era that use of ‘global digital communication networks are a fundamental source of power in modern society’. Seeing an interactions as communications possessing power within itself is a bit of an abstract idea, but one that provides a better analysis of the actors involved. Castells states that there is no deterministic control of the power structure by any one group and that “whoever has enough money, including political leaders, will have a better chance of operating the switch in its favour” (p. 52). So in Castells’ view your focus to achieve social change would be to try to influence/change the communication structures that are used by powerful actors. 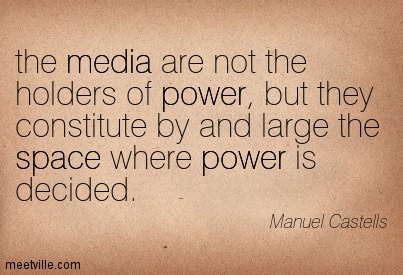 To be effective in this you would need to understand why is the media powerful? Peter Braham’s explains the power of the media as the ability of mass media to influence the political agenda, and shape our concept of reality. As Carr states, think of the mass media’s role as a modern day church. So in comparison Gee may see Counterpower in communications as the ‘haves’ vs ‘have nots’,or for example Rupert Murdoch vs activists. However the suggestion here is to not see Rupert Murdoch as holder of power (haves), but to rather see Murdoch as someone who establishes the space where power is decided through his ownership of media networks. Seeing power through communications in this way opens up a tactic, which is not discussed in Gee’s work and is hard to conceive with his notion of Counterpower. That is the building of autonomous communication networks to challenge the power of the media industry. It’s doesn’t need to be about, this company or that individual possessing power in a form media; it’s about harnessing that power that exists within communications. Communication networks are starting to play a huge role in social movements, such as the protests in Egypt (2011), and Hong Kong (2014) . Power will always exist through communications, so to focus on just targeting individuals or corporations, distracts from tapping into power of communications and trying to occupy more of that space where power is decided. So if power exists beyond individuals and institutions…what about everywhere? No discussion about power can take place without the ideas of Foucault being discussed. Foucault saw power as; dispersed rather then concentrated, expressed and acted out rather then possessed, and as more wandering then forceful. Individuals or institutions do not hold power, rather their actions may contribute to the operation of power, but it is not power itself. In short, Foucault sees power as a thing or a capacity that people have. Power is a relation which exists when it is exercised. Resistance therefore can be encountered at every point, in attempts to evade, subvert or contest strategies of power. To see power as everywhere, means that resistance can be channeled everywhere by using any means. For me, this conception of power, although abstract, opens campaigners minds to thinking outside of the box in regards to resistance strategies and techniques. Hardt and Negri analyse power on an international level by arguing that sovereignty has become supranational and no longer based within nation-states. Instead they suggest that a new global ‘Empire’ has emerged based around international institutions, treaties, capital flows, military interventions, media, and even NGOs. 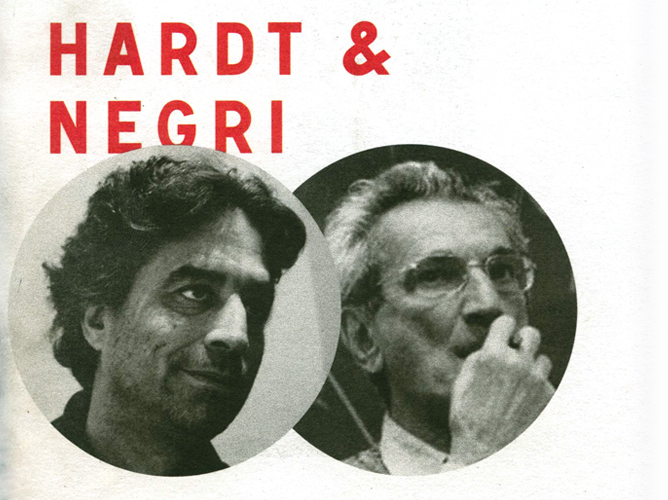 Using Hardt and Negri theory it’s important to not just view the structure of power within states, but to look at the relations of power on an global level. Using a political example, the uprising in Syria can be seen beyond the notion of the regime’s power vs the power of the people. International factors have played a vital role in this power struggle( which started as a protest for greater freedoms), in the form of Russia’s support of Assad and western unwillingness to intervene. It’s doesn’t have to be about power itself but the association of power. Those who are powerful are not those who ‘hold’ power but those who are able to enrol, convince and enlist others into associations on terms which allow these initial actors to ‘represent’ all the others: (Law and Whittaker 1988: 179). This view of power suggests that If power ‘lies’ anywhere, it is in the resources used to strengthen the bonds . We need to analyse how these resources are defined and linked and how actors impose definitions and linkages upon others to have a greater understanding of who holds power. Power is an extremely complex concept and one of the most problematic. Power is theorised in almost all aspects of human study; politics, sociology, international relations etc, and in these studies, what constitutes power is fiercely debated. It is the ubiquitous nature known of power which caused me to question Gee’s simplicity. However Gee’s book contains many excellent tactics and methods in order to build an effective campaign. Where Gee fails for me is his philosophical approach to power which is a bit too simplified, and designed to support his theory on how campaigns can win. By perceiving power as existing in three forms (ideas, economic and physical), the methods of resistance are mirrored and therefore limited. 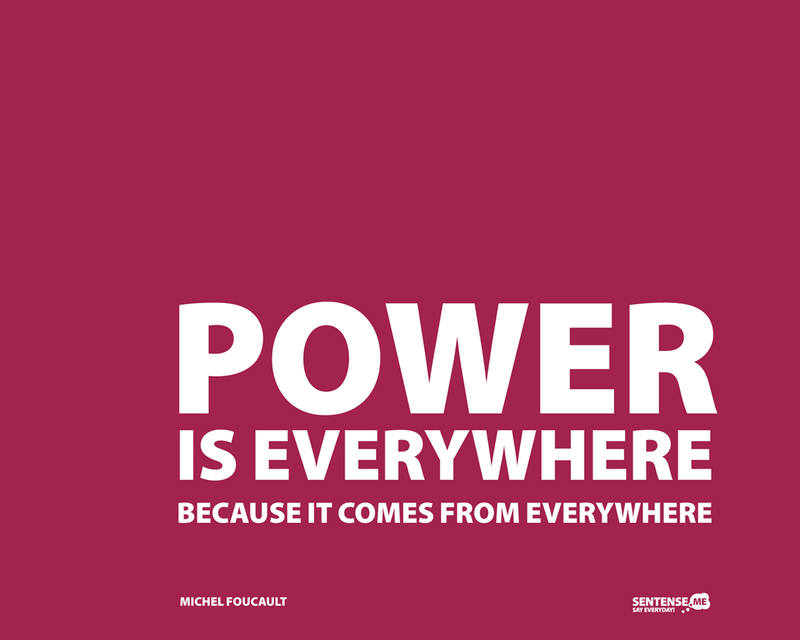 If Foucault is right in his perception of power as everywhere, then only seeing power in some forms will limit the scope of power and make it more difficult to alter power relations.In order for campaigning for social change to be successful, our perception on the world around us must evolve. Campaigners need to think outside of the box, and find new ways to achieve meaningful and lasting change. Digital activism – Who are Anonymous? Last night the Frontline Club hosted a discussion with Gabriella Coleman about her new book ‘Hacker, Hoaxer, Whistleblower, Spy’. 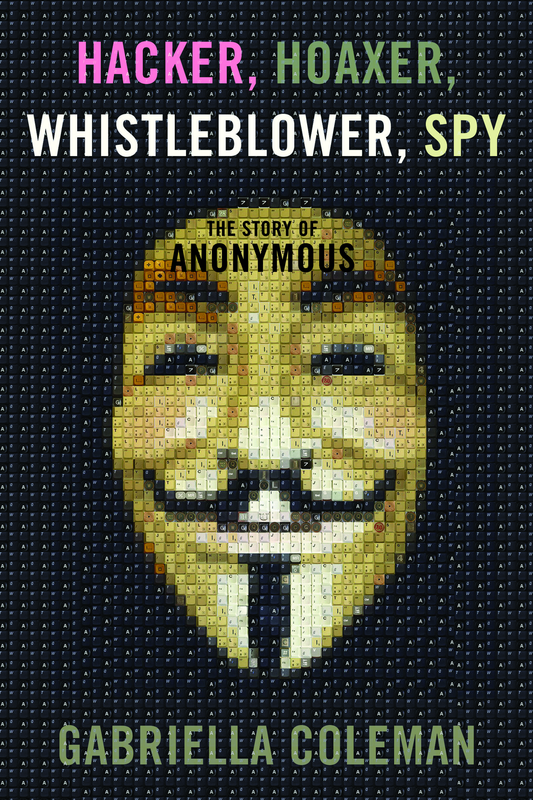 Her book focuses on the study of Anonymous, which began six years ago, before the group had become as notorious as it is today. During this time, Anonymous has gone from a group of so-called internet trolls to activists to even having an influence on geopolitical matters. How did this happen and who are Anonymous? Anonymous started in Coleman’s words as group that was a mixture of a protest ensemble and Internet trolls, who used internet harassment tactics against those they opposed. During their campaign against the Church of Scientology the group in Coleman’s view, went through a radical shift from a digital to a physical presence. In 2008 the church of Scientology tried to legally remove a highly publicised interview of Tom Cruise discussing Scientology. Anonymous acted against this act of Internet censorship by leaking the interview, attacking Scientology websites and releasing their message to Scientology and call to action videos on YouTube. These videos were according to Coleman originally meant to be a joke, however it started a debate that resulted in a series of global non-violent protests outside centers of the Church of Scientology. This action became their first taste of activism and step into real world protests that changed the group. Activism started to become important. In 2011 at the time of the Arab spring, a group of Anonymous hackers ventured into the geopolitical in support of wiki leaks by; developing a counter script to detect when Tunisian activists password’s were being hacked, attacking the Tunisian government’s website and helping to get activist’s footage outside Tunisia. Other targets of Anonymous hacktivism have included, U.S and Israeli governmental agencies and corporations such as PayPal, Visa and Sony. Coleman’s book, Hacker, Hoaxer, Whistleblower, Spy. 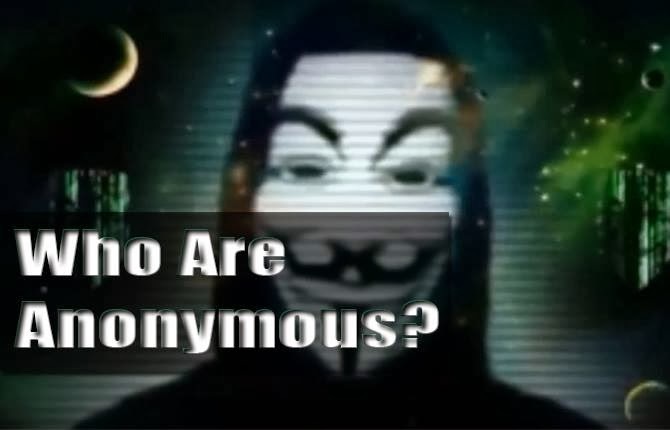 Who are the individuals of Anonymous? Coleman describes the members of Anonymous as ‘diverse in every sense other than gender’, with the hacking element of the group being completely male. The option to remain anonymous enables anyone who is interested to join, so you end up with what Coleman refers to as a ‘motley crew of members’. High profile members whose identities have been exposed include a 16-year-old British-Iraqi boy known as T-Flow and his splinter cell leader, turned FBI informant Sabu. They use a small range of symbols-masks, headless suits. What is the Anonymous code of conduct? Requiring some sort of group consensus for operations. Anonymous as a group have been called a hacktivist collective, but are they an activist group? Anonymous tend to falter at being a collective, and this is part of their weakness, they are a large and diverse group that possess many different ideologies. An activist group needs a set of values and objectives for individuals to join, as there is self legitimacy in joining something that is consistent. For anyone who chooses to join Anonymous will they know what they are representing, what goals they are working towards? Anonymous appears on occasion, to react out of vengeance rather then taking a lead. The attacks on Paypal and Visa were in response towards their block on wiki leaks funding, and attacks on sony were part of ‘Operation Payback’. The combination of anonymity and a lack of collective goals, makes it difficult to comprehend the group let alone define them. An activist essentially needs to be someone who is acting for something, anonymous don’t quite have their ‘something’ yet. They act when they disagree with someones’ conduct, but they do not have a conduct of their own. Inconsistency is their weakness, power is their anonymity. At this present time it is difficult to define anonymous as activists, you can define what they do, hack, but it’s hard to define what they are. Gabriella Coleman’s six-year study of Anonymous provides insight into a group that has gone from internet trolling to having an geopolitical influence. It’s also important to note that Anonymous exists in a time where individual anonymity and freedom of speech are under threat. Despite all their actions, Anonymous as an entity is not powerful in comparison to the institutions it seeks to dismantle. Ultimately their power lies in their ability to remain anonymous. Click here to watch Gabriella Coleman’s complete interview at the FrontLine club. 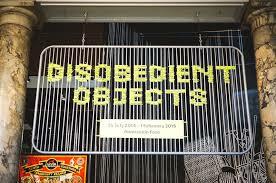 Disobedient Objects is an exhibition at the V&A running until February 2015 which showcases various objects used by activists as a form of protest and resistance. The objects displayed range from the late 1970’s to the present, involving a variety of different movements. 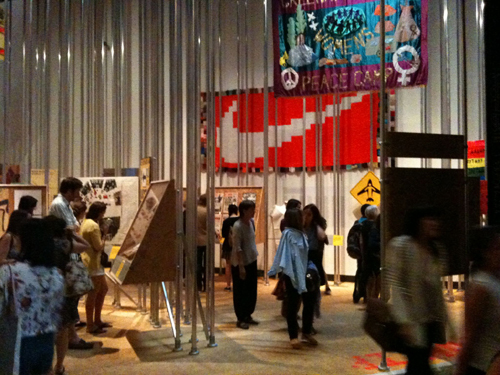 Unlike other exhibits, Disobedient Objects is not just a display of activist art but rather a collection of objects used as the physical tools of protest (direct action), making it the first ever major exhibition to focus on this. 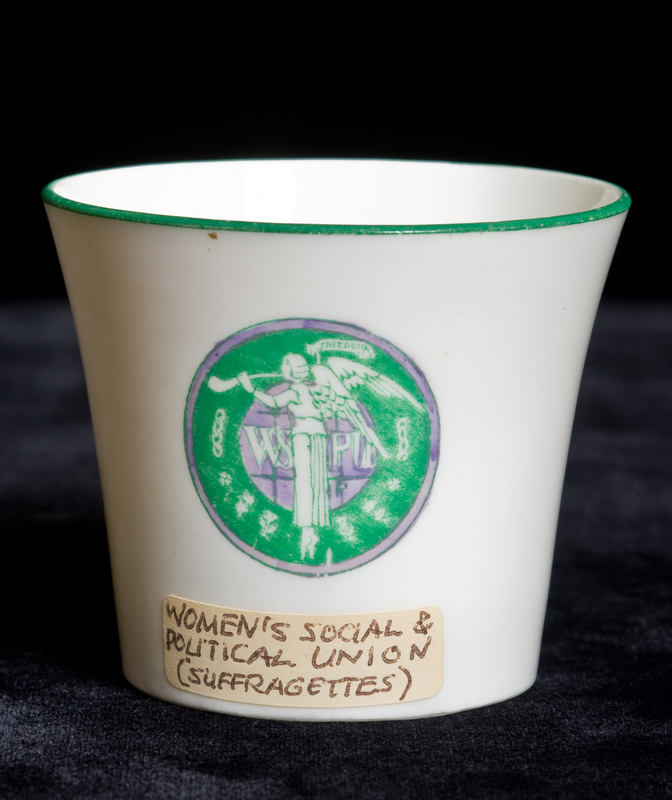 Some of the objects in the exhibition were just everyday objects used in protest, and the action of being used provided them with their symbolic meaning.The suffragettes used everyday objects such as tea sets marked with the suffragette ‘angel of freedom’ motif, using them as ‘propaganda tools to promote the movement, most elegantly, in a bid to convert their ‘anti’ neighbours’. Other objects already possessed a historical context associated with resistance, and the use of these in modern day protest was to connect that event with the past. An example of this was an exhibit featuring dented cooking pots from a protest in Argentina in 2012, the dents being the result of protesters banging on the pots like drums. 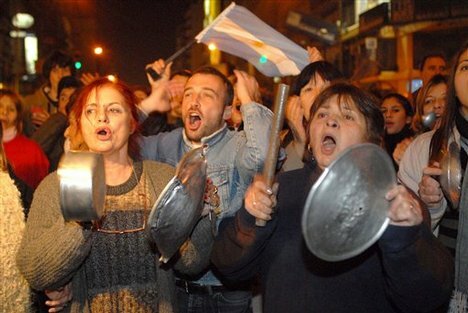 Pot banging protests are symbolic in Argentina as it is reminiscent of protest tactics used during the 2001-2002 economic and political crisis. The exhibition also features artistic objects that were created to represent a specific movement and designed to displayed. 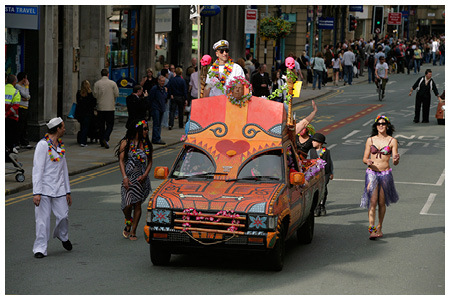 One such display item was the Tiki Love Truck, created by mosaic artist Carrie Reichardt. The Tiki Love Truck is a colourful memorial to John Joe Amador who was executed by the state of Texas. Reichardt, with the help of John’s family and friends made a death mask soon after his execution placing it on the center of the Tiki Love Truck. The Truck later toured around Britain to protest against the death penalty. 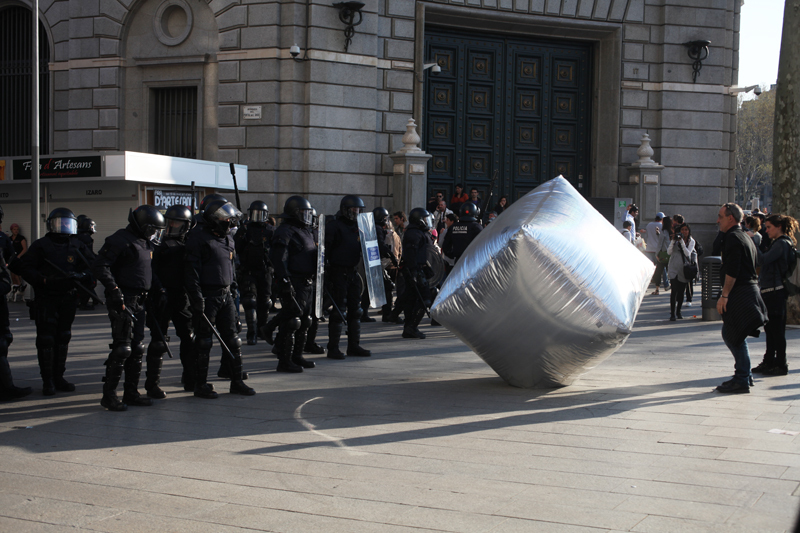 Other items featured at the V&A’s Disobedient Objects include props that were designed for performance at protests, such as the inflatables cubes seen below. Throughout the history of campaigning celebrities participation has been used to generate visibility and awareness, but is it true that there’s no such thing as bad publicity when it comes to using celebrities in campaigns for social change? Firstly what is a celebrity? A celebrity can simply refer to someone of popular fame, however this understanding of celebrity can run the risk of over simplifying their position within society. Alberoni defined celebrities as a ‘powerless elite’, occupying a privileged social position derived from public attention rather then institutionally based power. Using a celebrity allows you to reach out to a new audience that may not have any previous interest in social movements, people may watch a video or read an article simply because a celebrities name is mentioned. The attendance of a celebrity at event associated with a particular campaign can also make it newsworthy. In short it’s mass media attention, in which the level of media intensity depends on the type of celebrity used. 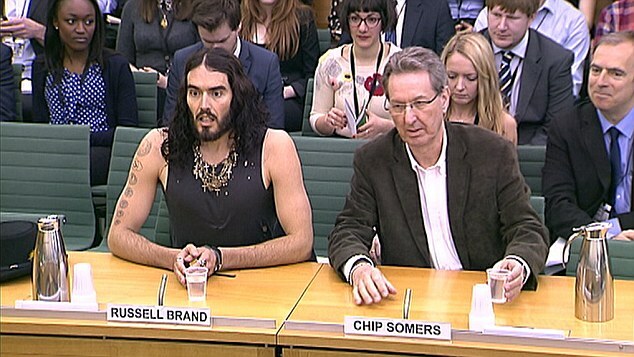 Examples of positive celebrity endorsement in social change campaigns; Russell Brand’s work with Avaaz and focus 12 for the decriminalisation of drugs took the discussion to the house of commons in a televised debate that received over a million views to date, on YouTube alone. This campaign has since achieved their 100,000 signatures required for the debate to go to parliament. 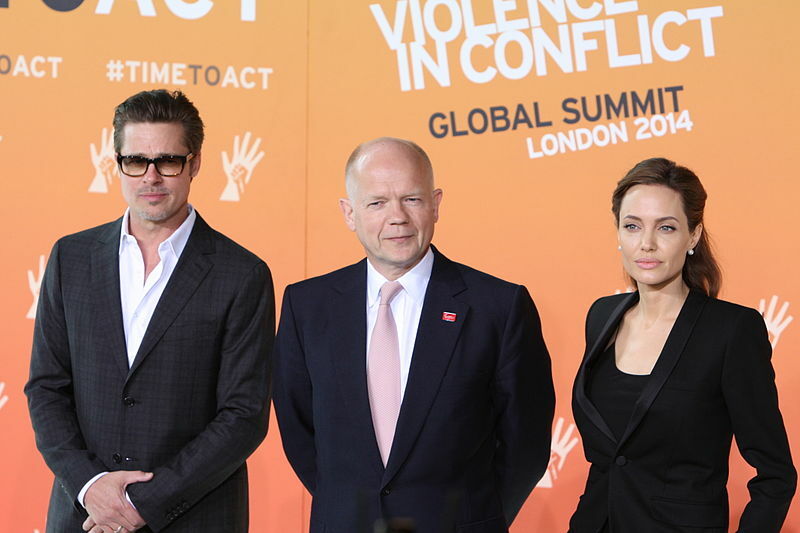 Angelia Jolie, a special envoy for UN refugee agency, has previously co -chaired UK Foreign Sectary William Hague at the Prevention of Sexual Violence in Conflict initiative, resulting in securing a range of agreements from 145 countries to end sexual violence. You only have to view the list of celebrities associated with charities here to realise how common this practice is, and furthermore campaigns don’t seem to be limited to the use of just one celebrity. Important things to consider. The type of constructed image the celebrity has is important. How are they well like, do they have a connection with the context of the campaign, who is their audience? From all these positives it may appear as the Guardian writes, that celebrity endorsement is a ‘super- weapon’ of modern social change, with 75% of Britain’s 30 largest charities (excluding housing and care trusts) employing full-time celebrity liaison managers’, although there are of course negatives. Their notoriety can take focus away from a campaign’s key objectives. Contradictions, either behavioral or vocal, can damage the integrity of the campaigns they represent. They aren’t always taken seriously. Celebrities are human after all and may follow their own interests above that of the campaign when needs be, or just simply make mistakes. Campaigners struggle to control celebrities in an relationship when often or not the celebrity feels like their doing the campaign a favor by lending their brand. Naomi Campbell and Cindy Crawford wearing fur after shortly appearing in PETA ‘I’d rather go naked then wear fur’ campaign. Campbell’s defense for posing in fur was to criticise PETA by branding the group as ‘too aggressive’.Crawford responded though her publicist, saying that she had never really supported Peta’s stand against fur but was instead being “really nice” to the organisation by joining their campaign. Scarlett Johansson recently stepped down from her role as Oxfam ambassador after being criticised by the media for her affiliation with the Israeli company SodaStream, who operate in an illegal colony in the occupied West Bank. A statement later released by the actress confirmed her support for SodaStream’s policies in contrast to Oxfam who responded, ‘Oxfam is opposed to all trade from Israeli settlements, which are illegal under international law’. This statement has since been removed from their website. From these examples it appears that major risk campaigners take when choosing a celebrity to represent their movements, is in allowing a public figure to represent their campaign who may not share their core values. Despite the negatives it is also important to understand that social movement activists and their opponents struggle to frame their claims and activities in a variety of venues, including the mass media. This is an issue that a movement faces even without using a celebrity. Most movements operate at a distinct disadvantage competing first for attention altogether, and second for their preferred images of self and claims. Celebrities may direct our attention towards campaign, but do we really take them seriously? Meyer argues that it’s ‘extremely difficult for celebrities to lodge credible claims for structural reform’ (Meyer, 1993) as they sit in very advantaged positions and the visibility of this undermines their intent. Finally.. celebrities may have the potential to greatly influence a campaign, but it’s important to note that ‘even when a celebrity participates in a movement, such participation is invisible unless the movement itself generates some threshold of political activity (meyer 1993). Furthermore celebrity involvement may certainly bring extra media and public attention, but can they help change behavior and leave a lasting legacy? A bit of a cheesy title, but it’s important to reflect upon what has motivated us to strive for change. Here’s a selection of videos that have motivated me. As a child my view of the world was extremely limited, I wasn’t aware of social, political or economical issues but I was definitely aware of animals. Like most children I watched animals on TV and had animal toys littered around my room, so if there was a place to start then animals would definitely be it. Animal conservation and protection is an issue I will always be passionate about, and cute animals will always tug on my heart strings, however as you get older your opinions change and you are quite likely to find something else that you feel passionately about. In 2009 I saw the global climate call wake up video by Avaaz. What I love about this campaign video is how it feels fun and creative. You could do what ever you wanted but you need to do something. Feeling part of a global community and having a call to action, is what I find really motivates me in this video. Vikey Vai - "To do something in a haphazard, unplanned manner". I believe that any significant social change mechanism, regardless of the method, should never be Vikey Vai.